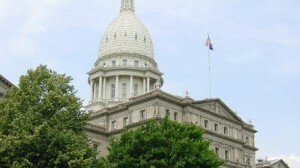 Senate Majority Leader Mike Shirkey (R-16) and Senate Minority Leader Jim Ananich (D-27) jointly released the full list of members of each Senate committee and Appropriations subcommittee. “We expect the committee process to be deliberative and thorough. We look forward to robust policy debates and bipartisan work product, wherever possible,” Shirkey said in a statement. “The incoming class of senators has a wide range of professional experience that they bring to the table, experience that makes them real-life experts on their given committees. Our constituents expect us to work together on their behalf, and I anticipate many opportunities for bipartisanship and progress this term,” Senator Ananich said in a statement. With the change in makeup to a 22-16 Republican majority from the 27-11 Republican majority during the previous four years, the new committee makeup allowed for some additional Democratic representation. Full committee roster is available here – follow ‘Committee’ tab. Skip will address technical issues related to implementing the new ATSC 3.0 standard at your station. Don’t have your music library hijacked! Brian will review the latest technology for radio station network security. This session will explore NewTek’s Advanced IP Workflow, Network Device Interface (NDI), the features of NewTek’s Advanced Edition Software and Production Solutions with this technology. This information will give you an understanding of how a standard GIGe LAN can be turned into a live production network in your broadcast environment with IP workflows, making devices visible on your network and adding inputs to your switcher. This technology will also allow for bi-directional audio and video over IP. See how many manufacturers are using this open source code technology to provide products for IP and NDI and how this technology works in a broadcast setting. We will also review the features of NewTek Advanced Edition and how Advanced Lighting & Sound can integrate these solutions for you. Metadata is defined as ‘data about data’, but smart broadcasters know it’s so much more than just data…it’s information that listeners want and use, it’s material that engage audiences, enhances the radio experience and benefits advertisers and it’s ultimately a way of turning data into dollars. But satellite and streaming only sources are also using metadata for their benefit against radio. How do we seize the high ground and make metadata matter for your bottom line? We’ll discuss how you can develop a winning strategy for your stations. Presented by Christian Arnaut, IT Manager at Newforma, Inc. Sometimes an effective solution to a common Radio or Television engineering issue is closer than you think, if you think outside the box. Several applications and solutions will be discussed that are inexpensive, effective and surprisingly uncomplicated. Learn to improvise with hardware that may otherwise be left unused and impress those around you. Cost-effective, open source, even free solutions will be discussed. The session will be an open-discussion format. Feel free to bring your ideas and share with the group. Presented by Gary Blievernicht, Michigan EAS Chairman and Don Bouffard, Michigan State Police. This is the place to hear the latest info and updates about the EAS system and emergency alerting for broadcasting engineers. After the surprising election, no one is quite sure what the next four years will bring. Join us as we address the legal, regulatory, and technical issues that may arise. At the annual IAB Leadership Meeting on January 29, Procter and Gamble’s Chief Brand Officer Marc Pritchard told the audience that P&G will accept only the Media Rating Council (MRC) validated viewability standard for media transacting and that the company expects all of its agencies, media suppliers, and platforms to adopt the standard in 2017. 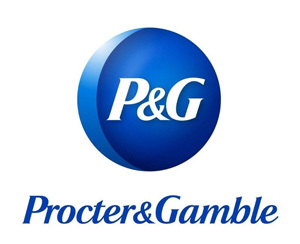 AdAge reports that P&G will conduct a review of all media-agency contracts, after the company found a surprise in its dealings with at least one agency, plus requirements that everyone use industry-standard viewability metrics, fraud protection and third-party verification. The company says it will no longer pay for any digital media, ad tech companies, agencies or other suppliers for services that don’t comply with its new rules. 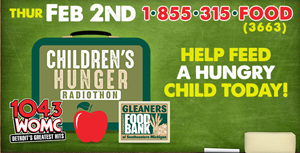 On Thursday, February 2, CBS Radio’s WOMC-FM (Detroit) will be hosting a day-long radiothon to benefit Gleaners Community Food Bank in Detroit. All donors who pledge to make an annual commitment of $20/month or a one-time gift of $240 or more will become a “Hunger Hero” and receive an official 2017 104.3 WOMC Children’s Hunger Radiothon insulated tote bag compliments of your Michigan Dairy Farm Families. Each “Hunger Hero” helps provide 120 meals each month! 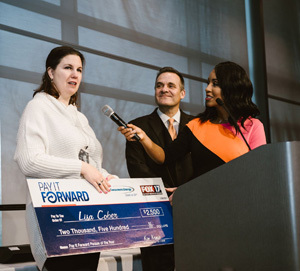 On January 26, WXMI-TV/FOX 17 (Grand Rapids) and Consumers Energy presented the third annual Pay It Forward Awards Gala. This invitation-only lunch event was held at Frederik Meijer Gardens & Sculpture Park. Its purpose was to honor the 2016 recipients of the Consumers Energy Pay It Forward Person of the Month Award and announce the recipient of the Consumers Energy Pay It Forward Person of the Year Award. In addition, seven new Pay It Forward Person of the Year categories were introduced and awarded at the event. WXMI-TV began its Pay It Forward initiative in November 2010. The goal was to highlight West Michigan citizens who give of their time, talent and treasure while expecting nothing in return. The initiative received so much positive feedback that the station decided to make it an ongoing campaign. Since then they’ve aired at least one story per week, highlighting people and organizations in West Michigan who pay it forward and make West Michigan a better place. (L-R) Lisa Cober, Pay It Forward Person of the Year; Christian Frank and Janice Allen, WXMI-TV News Anchors. Pay It Forward Police Officer of the Year presented by AmeriGas: Tino Reyes Jr. The event was emceed by FOX 17’s Christian Frank and Janice Allen and included remarks from Dr. Donald M. Maine, Chancellor Emeritus, Davenport University and Brooks Blanton, News Director FOX 17. Introducing the NEW Student Broadcasting Newsletter! It’s Time to Round up some Summer Interns! Attend the GLBC Career Fair! Could your station use some extra help this summer? Do you need to recruit some young, talented, driven individuals? Then it’s time to sign your station up for the MAB Foundation’s most popular and highly attended career fair! 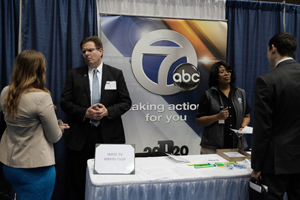 Your station should participate in this career and networking fair because it attracts students statewide that will offer your company different views, ideas and opinions! By attending this event, you’ll be able to prove that your station is seeking out a diverse group of new staff and interns throughout the state, which is great for your EEO File! This event attracts hundreds of students and young professionals eager to meet with YOU and continue their career journey in the broadcast and media industries. Please join us! Click here for complete vendor details. Each booth is $275 and includes a co-sponsorship of the event. As a co-sponsor, you will be helping to offset the cost of the fair. As a participant, you will help to promote the event to your students, listeners and viewers by sharing event information prior to the day of the event. You can do this by airing your own PSAs, if you have a station, or by adding your involvement into any press promotion. Your assistance in promoting this career fair is vital to the success of the event. For stations, keep track of everything you air for your EEO records and send the MABF a copy of your affidavits. Last year, we rebuilt the Jacobs Media website from the ground up to enable us to execute the same type of Content Marketing strategy that we recommend to our radio station clients. This post is the second in a series explaining what we did and how your radio station can do the same thing. If you missed last week’s post, you may want to start by reading it first. It enables you to establish an editorial process; for example, one person may write a blogpost, then another reviews and a third publishes it. WordPress is free to use. Out of the box, it comes with limited functionality, but you can add a number of “plugins” to it to enable it to do additional things. Just about anything you want to do, somebody else has probably built a plugin for it already. Some of these plugins are free and can be of questionable quality, while other plugins cost money but are well maintained and supported. Radio stations tend to see a lot of turnover when it comes to web developers because developers often find that they can make higher salaries doing the same jobs in other industries. Because so many websites are built in WordPress, finding a new WordPress developer if yours leaves is not difficult — it’s a common skill. WordPress can be easily integrated with a number of different online tools, from email service providers like Constant Contact and Mailchimp, to form builders like Formstack and Gravity Forms, to video hosting services like YouTube and Vimeo. You’ll want to combine multiple digital tools into a single coherent strategy, and WordPress will make that possible. 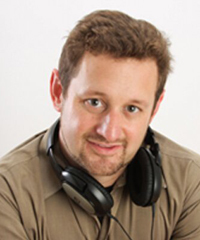 Keep in mind, while I highly recommend it, you don’t need to build your radio station’s website in WordPress to have a successful Content Marketing strategy. However, you will need to build in a CMS platform of some kind. Available to all broadcasters, NAB members or not. The National Association of Broadcasters (NAB) has announced that new We Are Broadcasters spots are now available for download. The spots highlight why there’s a big difference between broadcast stations and other sources of information, reminding policymakers and audiences that when Americans seek a trusted news source they know they can always rely on our local radio and television stations. Please download and air these new spots. All stations, not just NAB members, can access the spots at WeAreBroadcasters.com/Resources. Radio and TV spots are available in English and Spanish and in a variety of lengths. 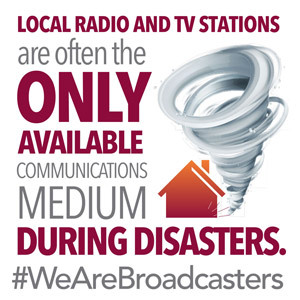 NAB launched the We Are Broadcasters campaign in 2013 to educate legislators about the many ways their constituents rely on local broadcasters. To date, more than two million spots have been aired by stations. As NAB works to ensure a strong future for broadcasters with a new administration and Congress, support of this campaign will continue to make a tremendous difference in the policy battles ahead. Working together, we are reminding legislators that local radio and TV stations are the pulse of our communities – delivering the news, emergency updates, weather and entertainment that are relevant to our lives. If you have any questions, don’t hesitate to contact Sue Keenom or Michelle Lehman at the NAB. 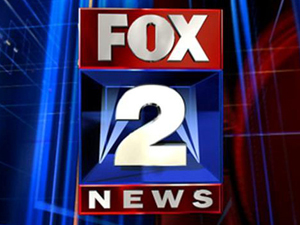 WJBK-TV/FOX2 (Detroit) has announced a new anchor lineup. Amy Andrews has been promoted to weekday morning anchor. She’ll accompany Jay Towers on the FOX 2 Morning News. Deena Centofanti and Maurielle Lue will team up to anchor The Nine. Raj Roop will take Andrews’ place at 11 a.m. and Lue’s position on The Nine. Lue will continue anchoring from 4:30 to 6 a.m. weekdays and on weekend mornings with co-anchor Charlie Langton.